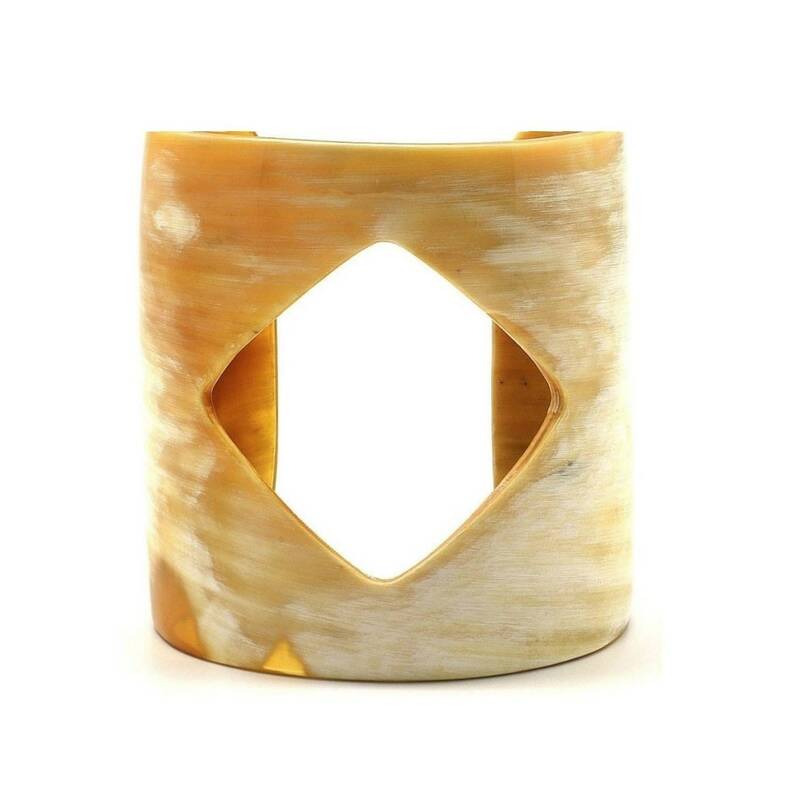 Very chic, this elastic bracelet raw Buffalo Horn light will be easy to match and sure to produce lightning effect. 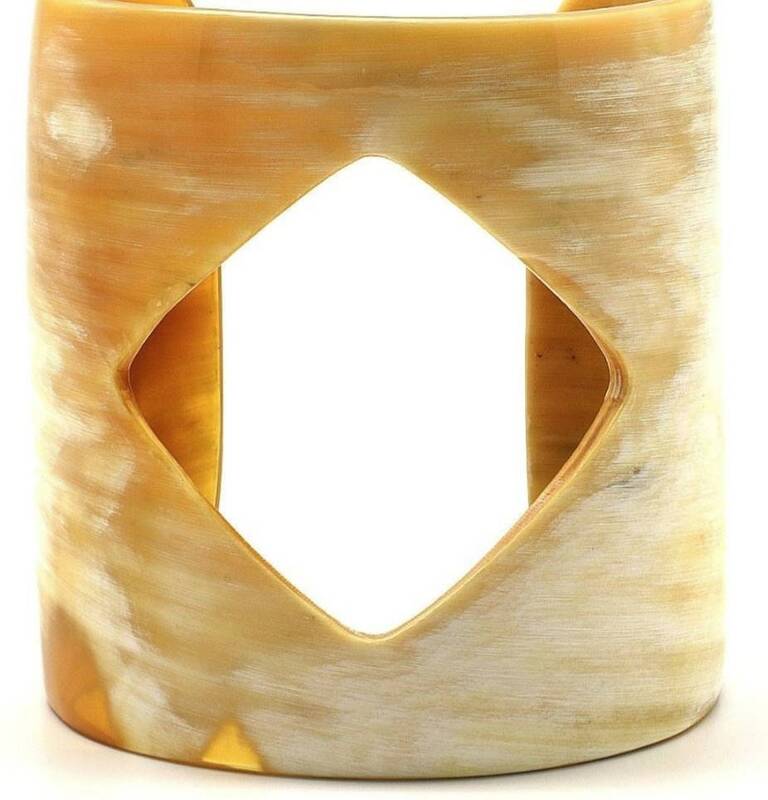 A beautiful cuff bracelet handmade Buffalo Horn. Highly polished finish. Light weight. Actual colors may vary. 2.36 "(6cm) in width." The Horn is a natural and sustainable material because it lasts over 100 years as Combs old grandmothers. It is unique with its rich and varied colors. The use of the Horn is legal. Each piece is unique and made entirely by hand with quality finishes and French.